OS X Mavericks brought with it a great blend of new feature additions mixed perfectly with enough power-saving ability to make the operating system a great option for Apple’s desktop and notebook using consumers. However, with the initial seed of a new OS there is always going to be a few bugs that managed to slip through the pre-release controlled beta test. If you are one of those perturbed users who has been experiencing some difficulties with the native Mavericks Mail app working alongside a Gmail email account, then hopefully today’s Mavericks update will offer up a solution to those woes. 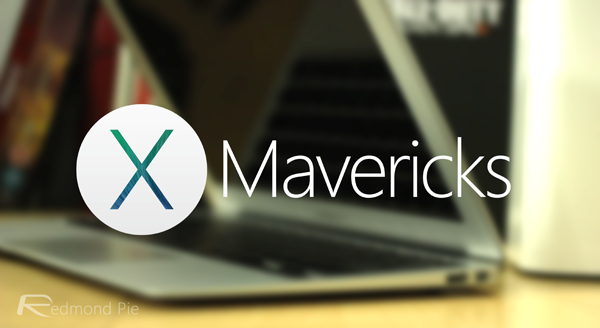 We have been hearing a number of reports over the last 48-hours suggesting that Apple’s engineers have been working on a fix for a number of issues within Mavericks. Today’s software update that is currently propagating through the Mac App Store not only confirms that those rumors were true, but should also bring an end to the Mail related problems that has so far dogged the Mavericks experience for a large number of consumers. Rather than actually forcing the user to go through the intensive process of performing an upgrade directly on the operating system, Apple is directly addressing the issue with the Mail app. 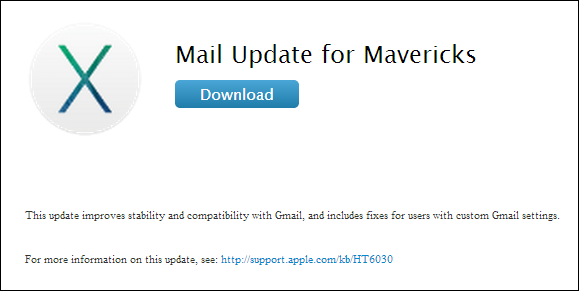 The ‘Mail Update for Mavericks 1.0’ that should now be available through the Mac App Store hooks directly into the native Mail app and irons out any Gmail related issues that have been occurring. Gmail users will be pleased to hear that this update not only improves general stability of using a Gmail account through Mail, but also directly resolves an issue with deleting and archiving messages when custom settings are present on the account. The update also addresses and resolves an issue that has been known to show erroneous unread counts within the app. In addition to fixing those two oversights the update also brings some much needed stability and compatibility improvements to the Mail app and gets it running exactly how it should have been with the first launch of Mavericks. Considering the large number of Gmail users out there who rely on Google’s mail service as their main account, this will be an extremely welcome update. The Mail Update for Mavericks 1.0 should be available through the Mac App Store right now. It can also be accessed directly through Apple’s support pages from here.